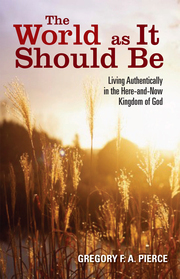 The Kingdom is a way of imagining the world differently: not just as it is, but as it should be. We are called to see through Jesus' eyes. When confronted with two polarizing alternatives, Jesus always seemed to find a "third way" that surprised everyone. The Gospel stories of the feeding of the multitudes show a glimpse of this Kingdom alternative being put into practice. Stories of crowds being fed with multiplied loaves and fishes are so important that they appear in all four gospels, and twice in Mark and Matthew! Six times in four gospels. In fact, it is the only miracle story to appear in all four gospels. Why is this story so important? These stories show the vision of the Kingdom being put into practice, on earth as it is in heaven. Here are some things we can learn about the kingdom. ...uses people to perform a miracle. "Give them some food yourselves," Jesus says. He could have rained food down from heaven or just made it appear, but he chose to work through human-provided gifts. How does God want to use us? ...is an unexpected "third way." Across the accounts, the disciples can only imagine sending the people home or buying food from the closest village. But, as is typical of Jesus and the Kingdom, the answer is an alternative beyond their imagination. When do we need to see in a new way, and see possibilities through Kingdom eyes? ...is counter-cultural. The normal way of thinking was scarcity and everyone out for themselves. The Kingdom has sharing, common meals, and enough for everyone. 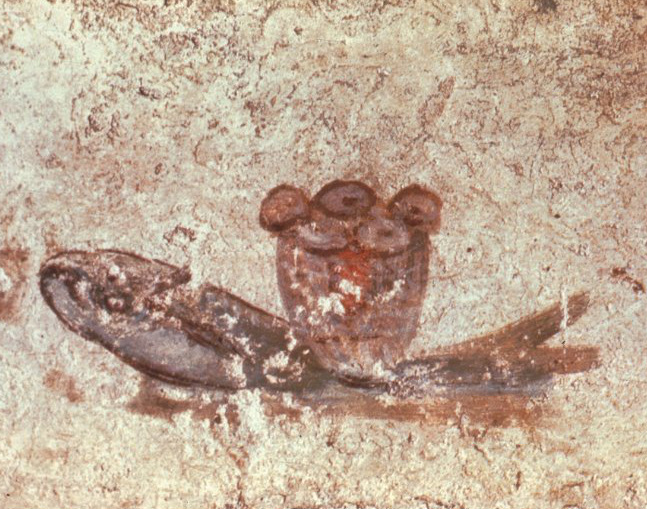 One of the earliest Christian paintings, this image of the loaves and fish was made around the 3rd century. One of the biggest barriers to moving into the Kingdom is a lack of imagination. We just become too stuck in our own way of thinking and doing things. We are too accustomed to society's values and way of seeing, and not enough to the Gospel's. We often interpret what is happening around us based on images and metaphors. Images are powerful. How might we act differently based on these different perspectives? What if we saw our doctor as a personal coach vs. a military commander fighting disease or the boss of our health? How do we approach people with material poverty? Are they someone with a "disease" who need to be healed; someone who is lacking in things; or perhaps someone who has undeveloped gifts? Is our role to fix them, teach them, partner with them, or dump resources on them? How might we see our church? As a spiritual hospital; a campaign headquarters; an extended family gathering; an elite country club; or a graduate school? nudging them toward receptive insight. Faith does not merely gaze at Jesus, but sees things as Jesus himself sees them, with his own eyes: it is a participation in his way of seeing.... Christ’s life, his way of knowing the Father and living in complete and constant relationship with him, opens up new and inviting vistas for human experience. Whatever you might think of Steve Jobs and Apple, this advertisement is a powerful tribute to those who saw the world differently and acted on that vision. Many considered them crazy. They certainly weren't considered normal. And for each of these people there were many, many others who changed the world in quieter ways by giving of themselves in unexpected ways. 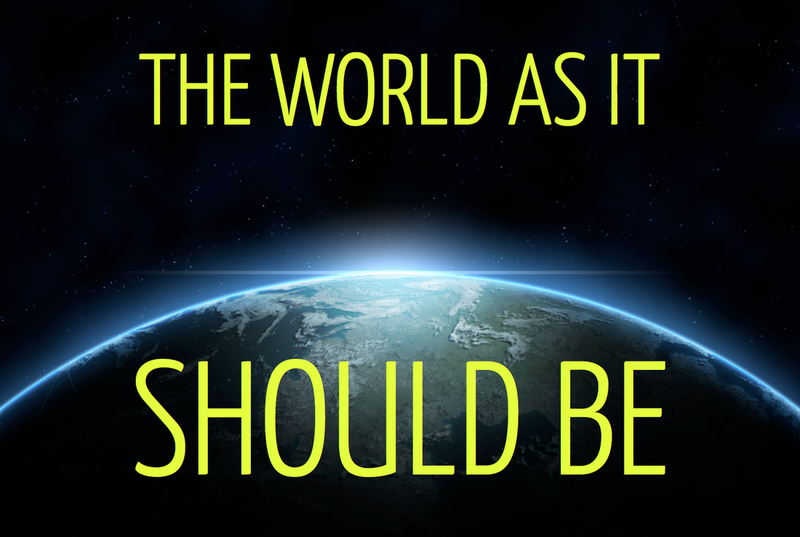 Are we willing to be seen as "crazy ones" to live the Gospel message? Start with Scripture. Commit to paying attention to the stories and images we are given in the Bible. Pray with them. Consider how they apply to us today. Be skeptical of cultural images. Most of our ways of seeing and thinking are shaped by the society we live in and the images we see every day, whether they come from the entertainment industry, advertising, or politicians. Look at the world with fellow Christians. We can't do this alone. Gather with others who share a desire to dream God's dream and live into that new vision. Talk about what could be and challenge each other to make it happen. Open your mind to the Kingdom. 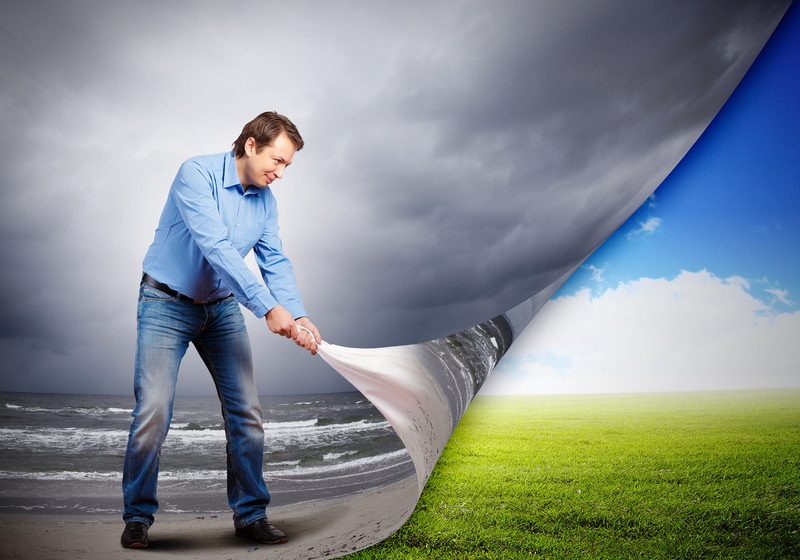 Allow yourself to imagine your life and the world as it should be. If we can't imagine a different possibility, we won't be able to get there. This applies to everything from our personal health and family life to political issues. Jesus said that unless we become like children, we can't enter the Kingdom (Matthew 18:2-4). Perhaps that's because children still have imagination and believe in endless possibilities. They believe the world can be bigger than what their eyes show them. They haven't become so cynical that they stop being hopeful -- that things really could be how they should be. If you need an imagination pick-me-up, seek out some classic children's songs such as "Pure Imagination" or "Rainbow Connection." Christian singer-songwriter Billy Crocket sings this catchy acoustic guitar tune that reminds us of how God can transform our "not enough" into "more than enough" for the Kingdom. Longtime Catholic troubadour and monk John Michael Talbot wrote this classic musical reflection on the paradox of the Kingdom. 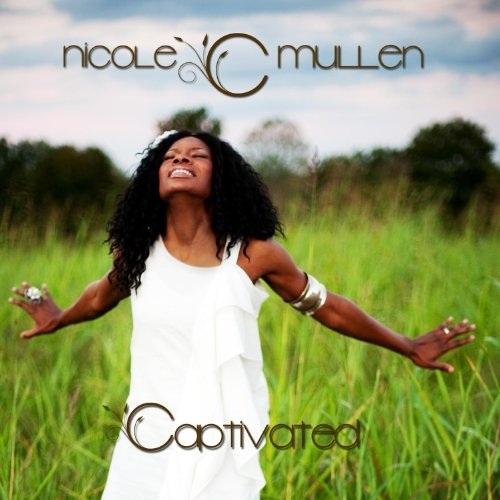 In this recording, Nicole C. Mullen offers her version of the Our Father with Gospel music stylings and backing vocals by Michael O'Brien. What challenge or area of your life do I need to see in a new Kingdom-inspired way? Review the points in the "Kindling Our Imagination" section above. What commitment can you make for developing your capacity for Kingdom imagination? Subscribe to our free email list to be informed about new series in the future. On this last week of this series, look back to any previous weeks you may have missed or want to review a second time. Our next series will explore the connection between our faith and our occupations: how we are challenged to apply the gospel to what we primarily do during the week, whether it be a traditional job, retirement, as a student, as a full-time parent, seeking work, or otherwise.